In July, Charlie Hebdo capitulated to terrorism and decided to stop drawing Muhammad, so that their workers could live. 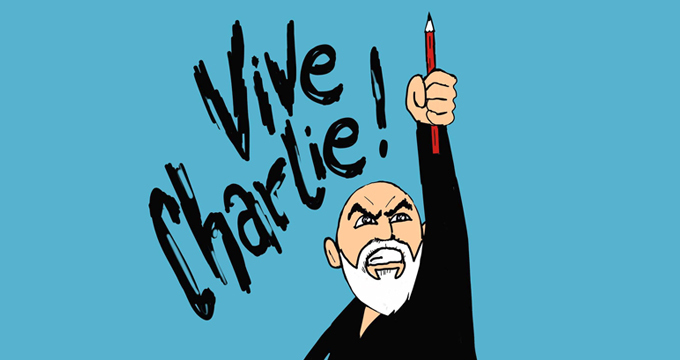 Following the horrific events at the offices of the satirical magazine Charlie Hebdo in Paris, satirist @JihadistJoe and illustrator @NoisyKafir joined forces to create Vive Charlie. By bringing together artists and satirists to produce an online satirical magazine we will be exercising our rights of freedom of expression and freedom of speech. We will be mocking and ridiculing politicians, celebs, sports personalities, religion, global leaders and topical events. 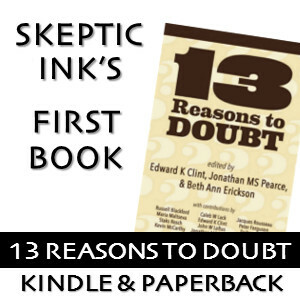 To date, they have published 19 issues and I hope they continue to exist in order to publish many more — I hope they will keep publishing even by the time we will have recovered our right to mock and criticize any belief without paying with our lives, and when the words “blasphemy” and “Islamophobia” are only bitter memories of when the illiterate and bigoted tried to shove their sacred concepts. You can follow Vive Charlie on Facebook and Twitter. I encourage you to donate to Vive Charlie — if that’s not within your means, you can always share this post on social media to reach more people, some of which may be in a better position to help financially. Ever since I read this article I’ve been reading it and there ae some really cool articles. I think you could highlight some of them.